European logistics: Access world continues to grow » Access World. Your partner in logistics and warehousing. As a global company, we pride ourselves in our positioning. Access World has a worldwide network of locations in strategic positions. With our great reach, we aim to always provide a seamless service from one end of the world to the other. A few months ago we expanded our operations to Australia, giving us a presence on every continent. (Read about our Australian warehouse here). While we are always scouting viable options, our expansion isn't limited to new locations. We do our best to ensure every facility, new and established, stays up to date and in excellent condition. Recently we have focused our attention on our European logistics, the heart of our operations. This continent hosts one of our most prominent locations, The Netherlands. Home to our Rotterdam offices and Terminals. 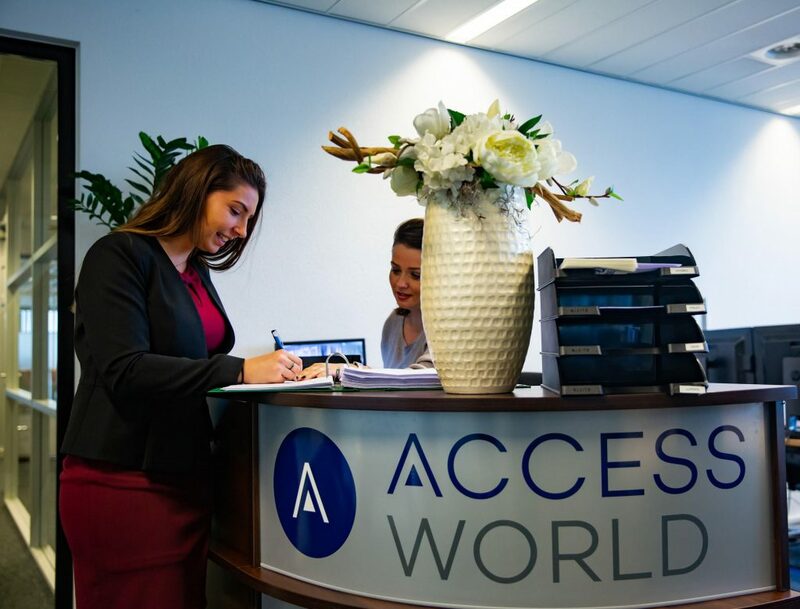 And, we're excited to announce that Access World Rotterdam has moved to a brand new office space. Access World Rotterdam has held office at the Shannonweg for the past eight years. During that time, the division has grown to an organisation of ninety-two employees. As a result, our teams ended up scattered over three offices, which did not adhere to our desired cooperation between departments. It's this desire for unity that prompted the decision to bring everyone together under one roof. But, to harbour the strong growth and ambition of Access World and her employees, we needed an inspiring location too. One which would motivate the further growth and diversification of our European logistics. We were fortunate enough to find the ideal space earlier this year. So, on the first of October, 2018, Access World moved the Waalhaven OZ in Rotterdam. We're delighted with our new office space and the advantages it offers both employees and clients. Autonomous growth and delivering our clients the utmost service are two of our key values. Now, with all the departments together, we have the capacity to broaden our scope further. We have already begun developing our services, working on a new ERP system and explored new commodities. The future is bright for Access World Rotterdam. Although not a recent upgrade, our increased capacity at Vlissingen has proved vital in current times. Following one of Europe's warmest summers and a drop in water levels, there's been a need to import agricultural products. With an influx of goods, ample storage is becoming a necessity. Fortunately, two years ago, Access World improved Vlissingen's deepwater terminal. We added extra capacity for the handling and storage of grain, oilseeds and agricultural by-products. The volume we offer makes Access World's grain operations in Flushing one of the largest. By having enough space and optimal pricing, we’re able to help traders access the market for contracts and spot shipments. Not to mention, our facility is GMP+ and SKAL certified for organic products. If you're looking for a warehousing solution for your products, don't hesitate to get in touch. We are more than happy to discuss your European logistics.